"You May Not Use The File. There is Not Enough Permission to Use PST Files"
The Cause of Occurrence: The error is displayed at the time of importing an Outlook PST file from an external storage media to the Microsoft Outlook profile of a different machine. This happens because; the file being imported comes from a different operating system to a different one. Therefore, there is a possibility that the source and destination OS accounts are not compatible or the controls have not been set properly. Nevertheless, the issue is absolutely resolvable with the help of troubleshooting methods. Two of the methods are discussed in the segment here and requires to be followed out as suggested. TIP: Note that applying both of the mentioned fixtures could result in making the respective machines vulnerable to attack. Thus, make sure that you consider the consequences as well as have taken alternative measures to make sure the security is not compromised with. Select the PST that you want to import and right click on it. Click on Property. 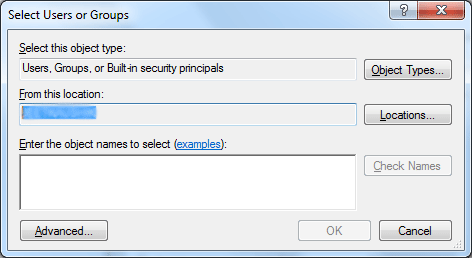 On the Property windows, click on Security tab followed by Edit to make changes in the security settings of the file. 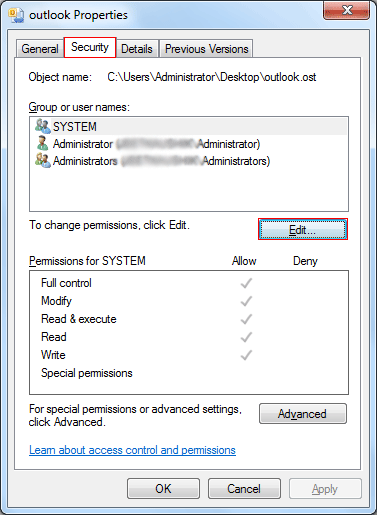 Click on Add from the permissions window of the selected PST file. 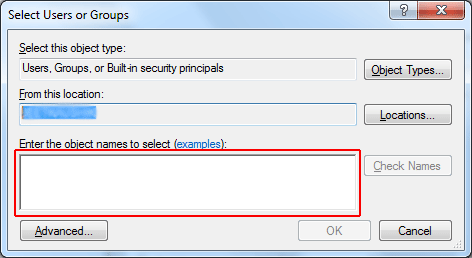 The Select Users or Groups popup will open. Click on Ok till all the open windows close. 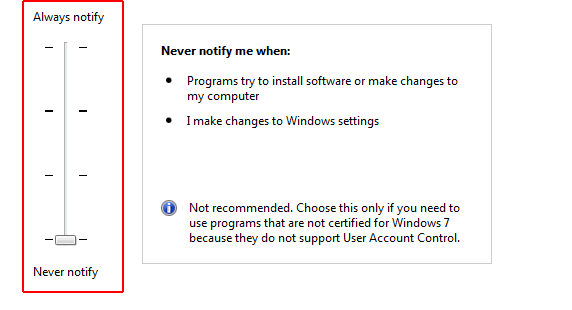 Now try importing back the PST file to confirm whether change in settings resolved the issue or not. 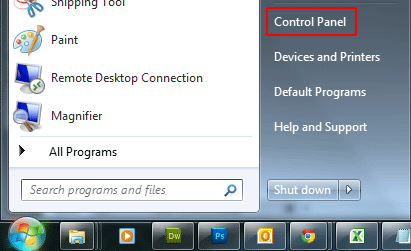 Open the Control Panel by going to the Start menu. 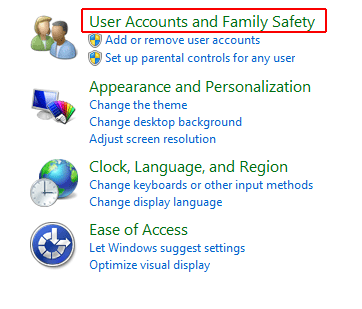 Go to User Accounts and Family Safety to make changes into the computer's user account settings. Select User Accounts from the window that opens. 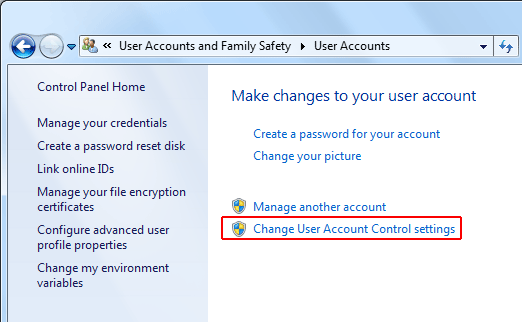 On the screen that opens next at the bottom you will find: Change User Account Control Settings. Click on it. Drag the control setting lever to the lowest point, i.e. Never Notify. Now click on Ok to confirm the changes. NOTE: There is a possibility you might be prompted for an Administrator password. 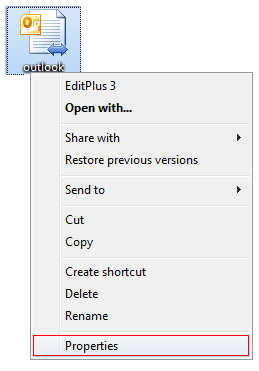 Then go to the Outlook profile you had trouble importing PST to and retry the import procedure. TIP: Once the changes made to security settings of PST file and User Account resolve the import trouble, reverse the changes to keep your essential data protected. 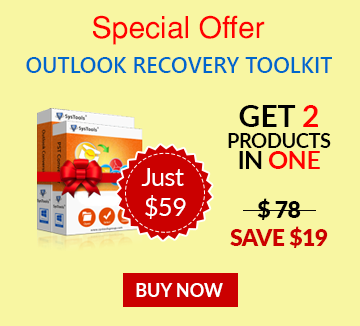 This will protect your data and computer from being attacked by malware all over again. Conclusion: Changing the security setting of either the PST file or the computer may result in making it vulnerable to attack. 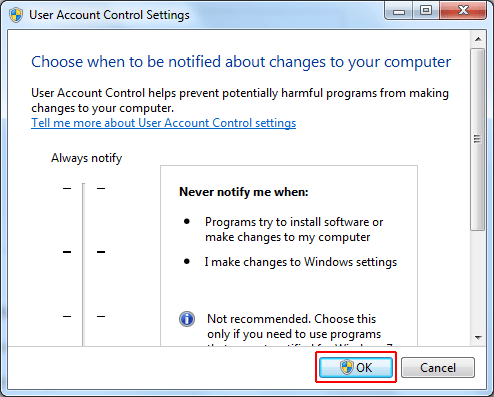 Therefore, changing the settings back is an important step of the procedure. However, if this doesn't solve your problem, then you may try other possible solutions like recovery of the database for the slight possibility that it may be corrupt.